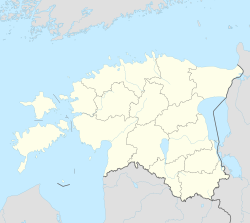 Narva (Roushie: Нарва) is the third lairgest ceety in Estonie. ↑ 1.0 1.1 "Narva in figures 2010" (PDF). Narva City Government. Retrieved 29 November 2011. This page wis last eeditit on 11 Mairch 2018, at 18:12.